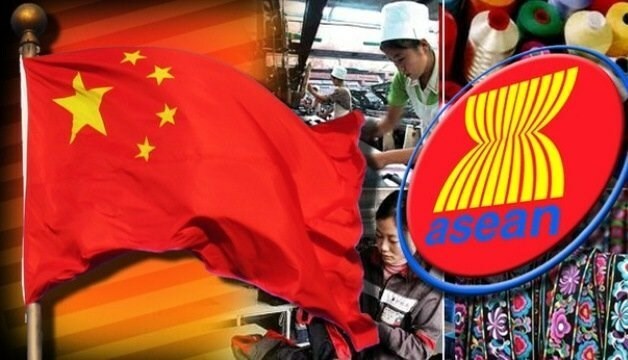 Beijing (VNA) – The Association of Southeast Asian Nations (ASEAN) and China should strengthen their links in trade, investment and finance, a professor from the People’s University of China (PUC) has said. Liu Ying, a professor of the PUC’s Chongyang Institute for Financial Studies, said the development of economic and trade ties between ASEAN and China will be significant to economic growth of each side in the years to come. To bring into full play their cooperation potential, Liu Ying called on ASEAN and China to intensify their connectivity in policies, infrastructure and transport as well as cyber connectivity, along with enhancing political trust. The professor highlighted the quick formation of cross-border economic cooperation areas between China and ASEAN’s neighbouring countries like Vietnam, Laos and Cambodia, saying such zones have helped with the process of industrialisation, urbanisation and informationalization in these countries. Liu Ying said both ASEAN and China should double efforts to improve their investment environment and propose more measures and policies to attract investors from the other side. At the same time, it is necessary for them to increase the flows of direct capital and boost infrastructure construction in the financial sector, Liu Ying said, urging China to provide more support for the ten-member group in the capital market and financial connectivity. In the context that the US Federal Reserve Bank raises its interest rates and tightens its monetary policies, and that President Donald Trump backs trade protectionism, enhancing financial collaboration between ASEAN and China will help prevent external risks and financial crises, and stabilise the domestic currency, the professor said. Besides, ASEAN and China should increase people-to-people exchange, especially in education and tourism, he added. Liu Ying highlighted the fact that China is ASEAN’s largest trade partner for eight consecutive years and ASEAN has been China’s third largest trade partner over the past six years. Since the two sides started their dialogue mechanism in 1991, two-way trade expanded from 8 billion USD to 425 billion USD in 2016, up about 56 times within 15 years.